There’s nothing better than seeing your favorite artist take to the live stage, well apart from seeing them at a festival! So if you love Toby Keith then you'll be more than pleased to know the incredible Country star will be taking to the headline slot for the 2018 Tailgate Fest! There's so much hype around this years event so ya'll best be sure to head on down for Saturday 1st September 2018! No doubt this will be yet another unforgettable performance at The Forum! Toby Keith has had such a positive impact on the Country music scene with his chart topping career he has had countless number one's and has influenced many fellow artists in his time. After launching himself with his 1993 smash hit single “Should've Been a Cowboy”, which went straight to number one in the Billboard Hot Country Songs chart, and by the end of the decade was the most-played song of the 1990s. He paralleled his earlier success when his breakthrough single “How Do You Like Me Now? !” was the number one country single of 2000. Keith has released seventeen studio albums in total, amassing 41 top ten hit singles, including 21 number ones. Overall, he has sold more than 40 million albums worldwide, and he shows no signs of slowing down… with an unstoppable tour on the way. This year marks yet another incredible one for the musician and along with his normal solo dates he is gracing the stage at the 2018 Tailgate Fest to bring his fans what they love best! An outstanding performance, with all of his biggest hits to date! Come and catch him at the main event for your chance to sing along to your favorite songs of his. 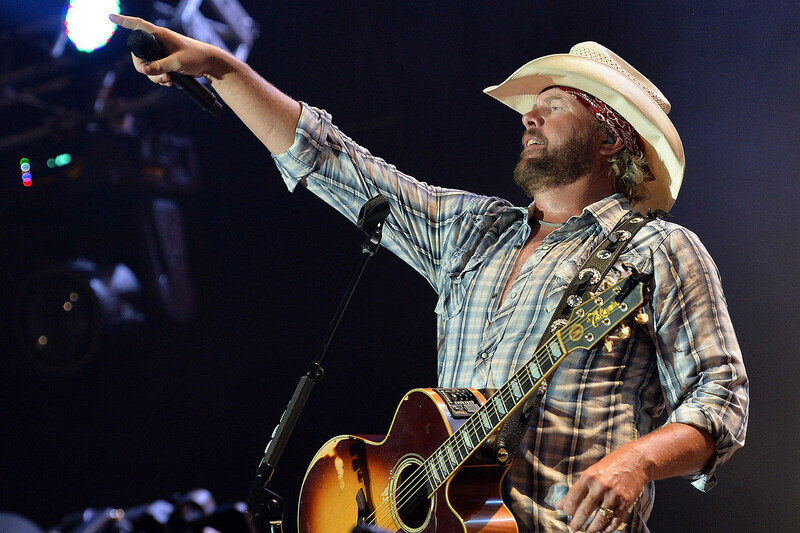 The talented Toby Keith will be LIVE – are you ready to join him? !